The term lodestar has been popping up in the news and the late night talk shows lately. To be honest I am just not familiar with the definition until now. A lodestar is; one that serves as an inspiration, model, or guide. (Merriam Webster). Lodestar is also the name of an olive oil company located in Oroville California. We found this company by chance; in fact we were just driving by and saw a sign and took a chance. Sometimes your best food finds happen just by good luck. We pulled up a narrow driveway and proceed to the tasting room. The grounds had the feel of a California winery but instead of grape vines there were olive trees. This was a beautiful area and put one in a tranquil state of mind. 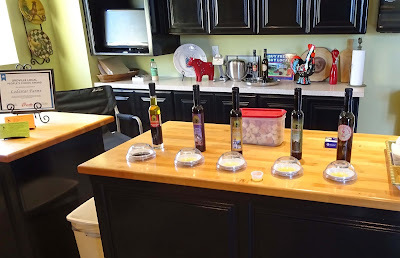 The beautiful tasting room was open and we were ready to sample some olive oil. All of Lodestars oil are available to sample. This is a family run establishment and we met the owner; Jamie Johansson. We sampled olive oils flavored with lemon and garlic. We tried several vintages and grades of oil. Our favorite was the Extra Virgin Late Harvest. The prices were very reasonable compared to some other boutique olive oils. I bought several bottles and even some extra to give as gifts. We are back home and have been using the Extra Virgin Late Harvest. It has almost a vibrant fruit like flavor. It is very smooth and rich. This is oil that should be used as a finishing oil to preserve its delicate flavor. It goes great in salads or just over some fresh bread. I am sure it would be great for cooking over heat but I want to preserve its great flavor. 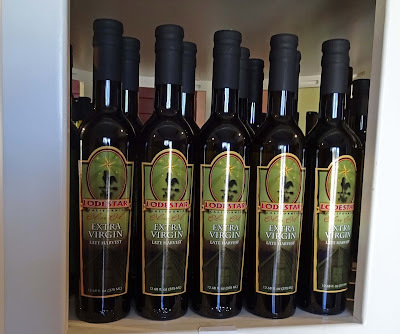 Lodestar California Olive Oil was found by chance but what a find. We definitely are new fans and will return. 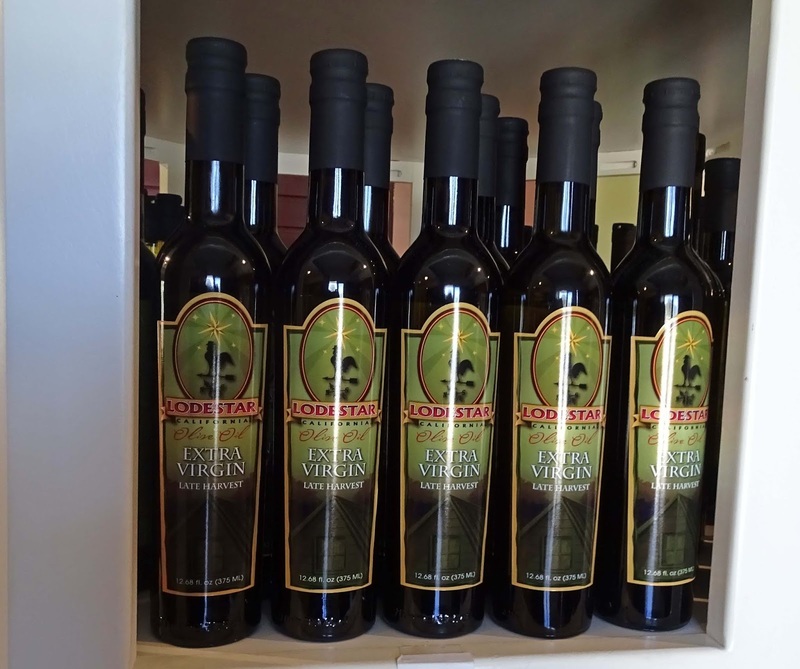 A good find for sure - we have purchased several bottles of olive oil over the years while visiting CA. Big Dude, There are a lot of boutique olive oil producers but sometimes they can be really pricey. These are very good quality at reasonable prices.